I love to grill in the summer – it’s so relaxing. Spending time outside by the grill, sipping on a cold beverage, grilling up some delicious chicken and not stressing about ‘getting dinner on the table by 6:22 pm so we can leave for soccer practice.’ Yes, we have some busy summer evenings, but they are few and far between…and I’m really enjoying a break from the school year activities-race. 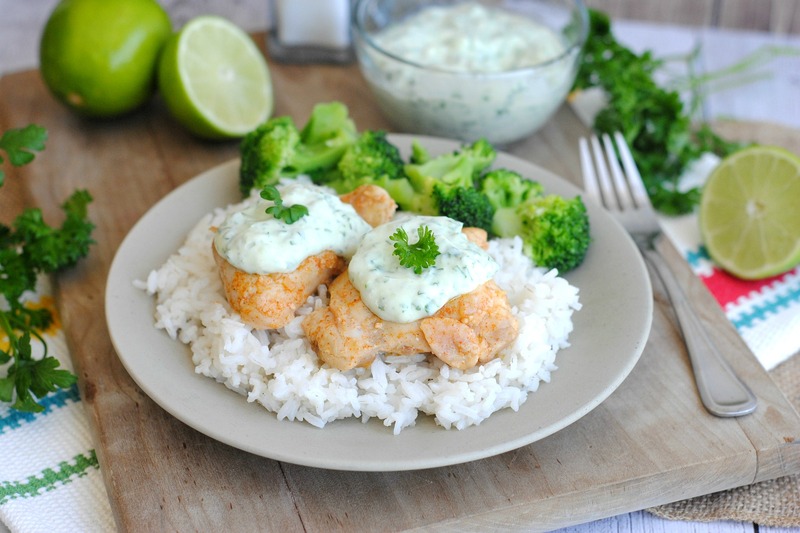 This chicken with the marinade is also freezer friendly. My favorite way to marinate chicken is to freeze it and then let it marinates as the chicken thaws in the fridge. Also, I recommend letting meat that you plan to grill to thaw completely before putting it out on the grill because it will grill and cook through more evenly when thawed completely. While the chicken is on the grill, you can whisk up the sauce and you’re amazing meal will come together perfectly. Enjoy!! Place the chicken thighs into a shallow dish. Cook the rice, as directed on package. Preheat the grill or skillet. Grill over direct heat for 5 to 6 minutes per side, or until cooked through. Cooking time may vary depending on thickness of the chicken. Prepare the chile-herb sauce: seed and dice the jalapeno. Add diced jalapeno with the parsley, sour cream, lime juice and salt and pepper to taste. Blend or puree with blender or food processor. Serve over the grilled chicken. 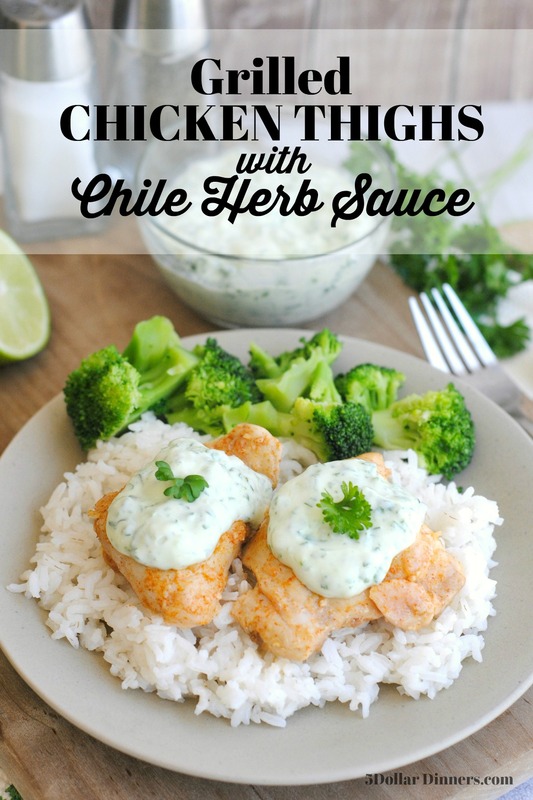 Serve Grilled Chicken Thighs with Chile-Herb Sauce with rice and veggies.